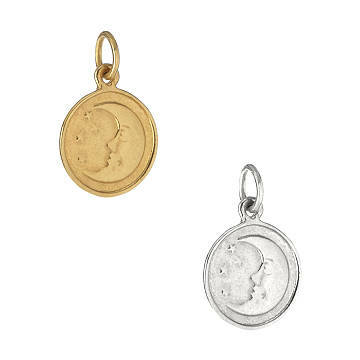 Casey Benjamin’s inspirational moon charm represents self-reflection and connection to nature. Two-time cancer survivor Casey Benjamin believes that the jewelry you wear every day can bring "good juju" into your world. Like this crescent moon charm symbolizing self-reflection. Accompanied by twinkling stars, the smiling moon also represents our connection to the natural world.